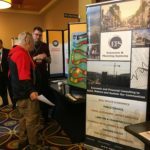 EPS was pleased to attend the 38th Annual California Association for Local Economic Development (CALED) Conference in Monterey, California. Ellen Martin, Executive Vice President, is an active member of the Tax Increment Finance committee which helps to evaluate available mechanisms and propose legislative solutions to improve the existing toolkit. Martin was a member of this year’s conference steering committee. Also attending the conference was Sean Fisher, Associate, who supports the Academy, a technical training division of CALED. As the official research partner for the Academy, EPS produces the California Economic Snapshot, a quarterly review of key economic indicators across the State and the nation. Included with each snapshot is a lead article on an economic development topic authored by prominent members of the economic development community, such as former United States Housing and Urban Development Secretary Henry Cisneros and international trade expert Jock O’Connell. 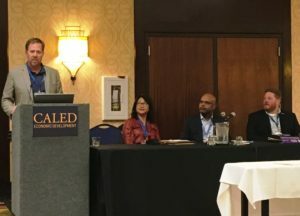 Ashleigh Kanat, Executive Vice President, moderated a panel at the conference focused on the advantages of drawing on a variety of funding sources to address public infrastructure challenges. Michael Nimon, Vice President, participated on the panel and presented two case studies from his recent work: the Baylands Project in Brisbane and Mission Rock in San Francisco. 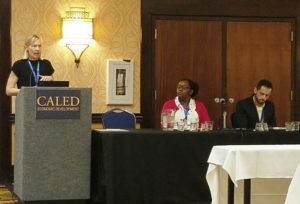 David Zehnder, Managing Principal, also moderated a panel addressing the funding of affordable housing in the context of economic development objectives. It was wonderful to see so many of our colleagues and clients at the conference.